From Professor Jamie Hacker Hughes. My ‘Presidential theme’ for this month is that of relationships, so I am pleased to see the article by Karen Fingerman on parent-child ties. Relationships are key to most, if not all, of us working as, or studying to be, psychologists – with the people we work with or serve (amongst them those whom some describe as patients or clients), with our peers, with our teachers and mentors, with the organisations that we work in or alongside. Outside our lives as psychologists, our relationships with our partners, families and friends are of course central to our lives. And relationships are key for the British Psychological Society too. Over the past year we have worked very hard to form or maintain relationships with National Assemblies and Parliaments, with Government Departments, and with our Commissioners and Regulators. We’ve also strengthened our relationships with a number of national organisations and professional associations and have worked closely with them on a number of national campaigns and initiatives, such as the Mental Health Taskforce, and through letters to the press. It had been my hope for my presidency that we should be present, visible, vocal and impactful – and, to my great delight, we have been! On an international basis, we have been active members of the European Federation of Psychology Associations (EFPA) and the International Union of Psychological Science (IUPsyS) and have signed Memoranda of Understanding (MOUs) with one of the first psychological societies, the RPS (Russian Psychological Society), and with one of the newest, the PSI (Psychological Society of Ireland. We’re also poised to enter similar agreements with the psychological societies of Iceland, New Zealand and Sweden later this year. What about within our Society? What are our relationships like here? There are two main definitions of the word ‘society’. One is that of an organisation or club formed for a particular purpose or activity – and we are certainly that, and our Royal Charter, Rules and Statutes set out the detail. But the other talks about a group of people who are engaged in persistent social interaction – and we are certainly not that any more, at least not across the whole Society. When there were only 12 people in the Society in 1901 then that might have been much simpler to attain but now that there are nearly 55,000 of us it is much less so. We have become siloed into Divisions (which divide) and Sections (which cut one group off from another). Only in Branches, I would contest, is the ‘society’ function of our Society readily visible. Hence the Structural Review, due to be signed off by Trustees in March, the aims of which are to create a democratic, proportionally representative, decision making, policy making structure and to encourage much greater coworking, cooperation and collaboration between and across our Divisions and Sections. This, together with the reordering of the form and function of our Trustee body, will be the greatest change that our Society has ever seen and could also allow Divisions and others to group together into Colleges for the purpose of bringing greater collective strength, backed by the power and authority of the Society, for certain outward facing functions. Which sort of society do you think that ours should be? I believe that we can become both. 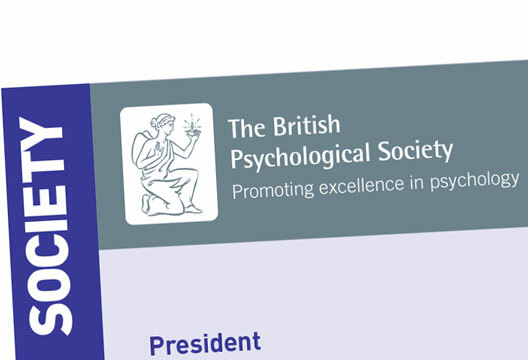 Jamie Hacker Hughes is President of the British Psychological Society. Contact him at [email protected] or follow on Twitter. As we pod along through another phase of economic austerity, like most social groups, competition for scarce resources emerges. In many organisations there has been root and branch evaluation of what every aspect contributes, and as part of that difficult questions asked about the added value of psychologists and the expertise they bring. We could be perceived as a 'nice to have' if we don't have a strong and cohesive sense of our 'offer' both in terms of research and practice. The BPS as a 'collective' has a massively broad range of skills, knowledge and experience that we can contribute to wider society. I agree with Jamie that what ever the future holds we are stronger and more persuasive when we present as common voice, which reflects diversity of views, than a bunch of professionals bickering about who is more or less of a psychologist and or scientist. I welcome these shifts and hope they are the beginning of a new and dynamic phase for the BPS as a social influencer, the professional and student membership.